Travaglini is a multi-instrumentalist, proficient in piano, oboe, bass guitar, who is equally at home in classical and jazz idioms. 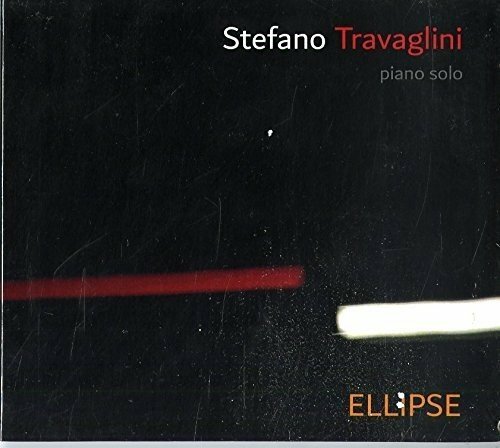 Travaglini's playing style has an almost Baroque air to it, albeit much less showy and boisterous but still with the richness of phrasing and sense of harmony. He studied with Arvo Part which is noteworthy because Travaglini brings some of the sensibility of Part’s approach to minimalism in his playing. I could, for instance, hear echoes of Part’s beautiful ‘Spiegel im Spiegel’ in several places on this recording – the use of a repeated single note to introduce track 4 ‘Persistence’ and the way that the chords were combined and built on this and track 6 ‘Looking back’. In other places, the quotes come from the jazz world; either directly, as in his take on ‘Softly, as in a morning sunrise’ (track 8) a jazz standard from Sigmund Romberg and Oscar Hammerstein II (albeit played at a jaunty tempo that belies the song’s lyrics – perhaps he’d heard Nelson Eddy’s version rather than, say, Abbey Lincoln’s), or the way that he mines the complexity of Thelonious Monk’s ‘Monk’s Mood’ in track 5 which segues into ‘Presences’. As with the inspiration of Part, so Travaglini work’s Monk musical style into something that is uniquely his own.